I would like to introduce you all to a very old and dear friend of mine. 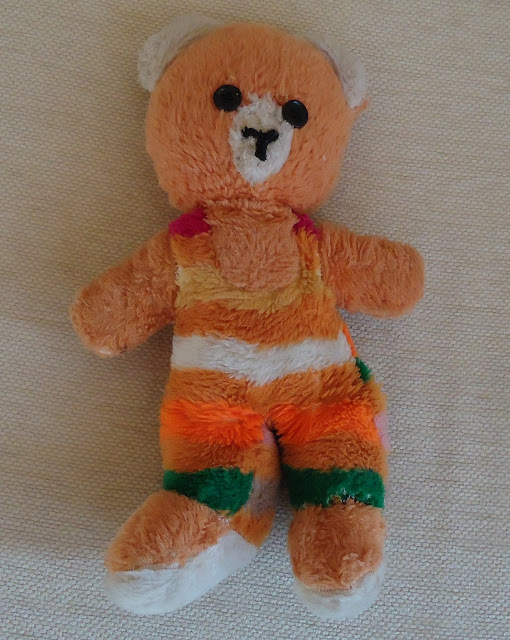 His name is Stripey and he has been with me for more than thirty years. I can still remember being with my Mum when she bought him for me and as you can see, he has been very well loved. When I originally ordered the Three Bears Sleeping Bag pattern from Florence, I had thought I wanted to make the sleeping bags as gifts for some little girls I know. Having started on the pattern though, the perfectionist in me realised that my first attempt wouldn't be quite up to scratch. Inspiration struck, and I thought of Stripey, squirrelled away somewhere in the deepest darkest recessess of my teenage daughter's bedroom. Having been an early recipient of my developing sewing skills, I knew that Stripey wouldn't mind at all if his new sleeping bag had a couple of minor imperfections. Over the years I have done quite a few patch-up jobs, none very skillfully, but somehow I don't want to rectify the mistakes now. I managed to make the sleeping bag over a couple of evenings and I think it turned out ok. It was my first time quilting properly, and ideally I should have used a walking foot to eliminate any puckering of the material but unfortunately it didn't seem to work properly so I ended up using an ordinary zig-zag foot. The line that goes through the yellow pear is the one done with the walking foot. The stitches are uneven and really tiny. So tiny that I really couldn't face ripping them out! The pattern was really simple to follow, your hand is held through every step. I cheated slightly by using bought bias binding for the trim, but next time I think I will try making my own; Florence offers great instructions on how to do this. To get the quilting lines even, I found a good tip online about using electrical tape. I only had masking tape to hand, but it worked perfectly. Also now, thanks to Florence, I can tell you that the stitch I showed you in Bad Seam, Good Seam is actually called Ladder Stitch. Thank you Florence! I think Stripey looks very cosy in his new sleeping bag, infinitely preferable to his previous lodgings. He will now be living in the dining room with me and all the stitchery! 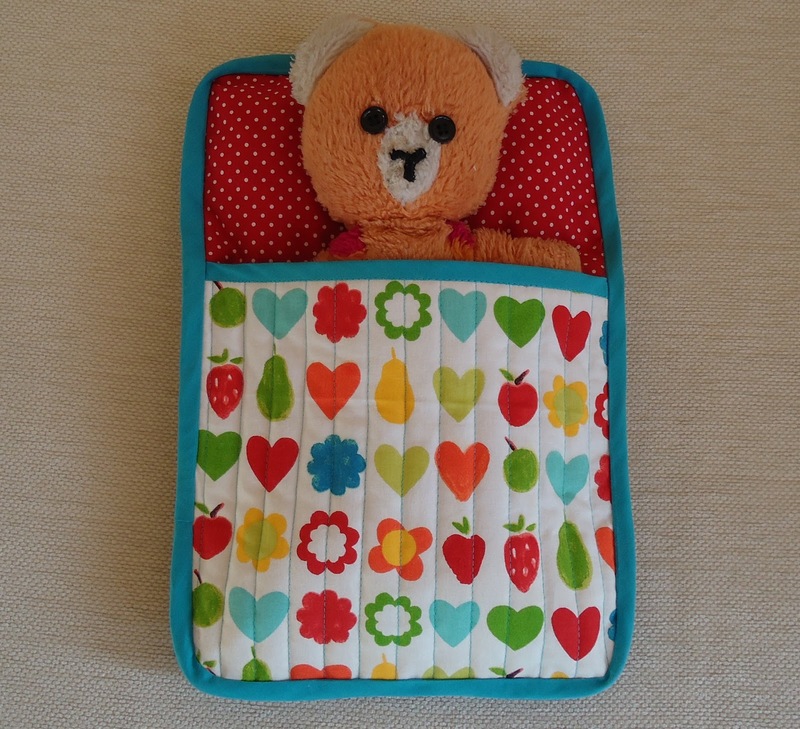 Well I think your - sorry, Stripey's sleeping bag looks great! I think you're being too hard on yourself, the quilting looks great too and I love the fabrics you've chosen! I love the fabrics too and completely agree with Sew, Ray, Me. Musical Sewing - What are you listening to?